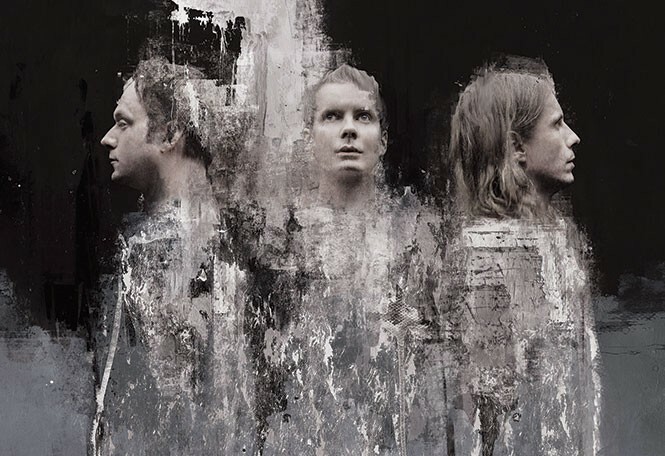 Monday, Sept. 26, 8:30 p.m.
Generally dwelling in the post-rock genre, the music of Icelandic trio Sigur Rós is unique even in the genre: impressionistic, glacial and abstract, with falsetto vocals in the group's native Icelandic or an invented, wordless language called "hopelandic" (vonlenska in Icelandic). That might suggest music too esoteric for most ears, but the band's consistently multiplying fan-base knows the truth: It's an aural panacea for the soul. It took some time, though, for Sigur Rós to build that reputation. Formed in Reykjavik in the mid-'90s, the group released their first album, 1997's Von, on Smekklesya (Bad Taste), a local record label owned by The Sugarcubes, the alternative rock band featuring Bjork. The album was a critical success but a commercial flop, selling just over 300 copies. Von nonetheless established the band's distinctive sound: washes of ambient instrumentation, with gentle and ethereal vocals that serve as a lead instrument more than a means of delivering decipherable lyrics. This strange, beautiful music made them the consummate hipster cult band. The arrangements on the group's second album, Ágætis Byrjun (FatCat/Smekklesya), displayed a subtle shift—but not for money. Already, singer/multi-instrumentalist Jón Þór "Jónsi" Birgisson's resolute determination not to sing in English set them apart from nearly all of their contemporaries. With Ágætis, Sigur Rós doubled-down, and went weirder, with Jónsi playing guitar with a violin bow. The embellishments persisted in 2002 on the band's third album, an officially untitled album of officially untitled songs known as ( ), which ascended to No. 1 on the Icelandic chart, and reached the Top 50 in seven other countries. In the United States, it hit No. 51—a solid showing for an Icelandic group (beating The Sugarcubes' 1988 debut Life's Too Good, which hit No. 54). Ágætis and ( ) went gold and platinum, respectively, in Iceland, and the commercial and critical success vindicated the band's decision not to make concessions in a quest for album sales. When the fourth track from ( ) was featured in Cameron Crowe's 2001 motion picture Vanilla Sky, it brought Sigur Rós' music to an even wider international audience. In 2004, the U.K. label One Little Indian reissued Von, which eventually achieved platinum status—all while the group maintained its fierce determination to be themselves. Since Takk..., each new Sigur Rós studio album has charted in 12 countries, with greater success in the States. Með suð í eyrum við spilum endalaust (EMI/XL, 2008) charted at No. 15, with Valtari (2012, Parlophone) hitting No. 7 and Kveikur (XL, 2013) landing at No. 14. Their 2011 live album Inni was a sales and critical success as well, cracking the chart at No. 73. Somewhat unusually—or perhaps not, considering the source—the band's upcoming 20-stop North American tour isn't supporting a new album. Their only new music since Kveikur is the dreamy, electronica-flavored single "Oveður," which came out in June. They're even being mysterious about the contents of the upcoming shows, aside from the fact that the core trio of Jónsi (who also plays keyboards and harmonica), Georg "Goggi" Hólm (bass guitar, vocals and assorted instruments) and Orri Páll Dýrason (drums, vocals, various instruments) performs two sets with no opening act. An excerpt from their official statement hints as to what concertgoers can expect: "All we can say right now is it's going to be different, with new unreleased songs, a new show and maybe some other new things. Beyond that, we can only ask you to trust us on this one."